An Illustration done for my partner, Kelly Wang's song "Over in the Jungle" which is inspired by the nursery rhyme "Over in the meadow. 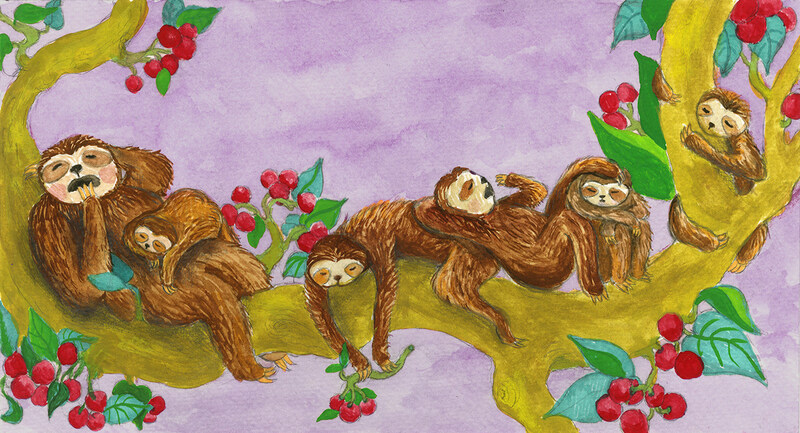 and her little sloths five. where the fruit trees thrive."